Legend says a Covenant between an ancient race of dragons and a halfling king vanquished a relentless evil. Two thousand years later, the evil has returned, better prepared and hungering for vengeance. When the legacy falls to the twins Willoe and Rowyn, sixteen-year-old descendants of the mythical king, they struggle with the truth they discover behind the Covenant's deadly cost. 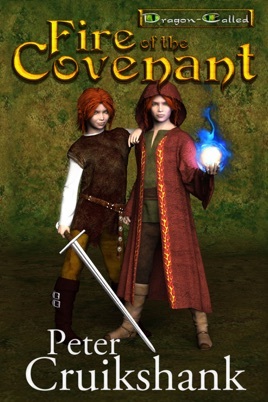 With the aid of their cousins Aeron and Casandra, the twins must learn to wield the power of the Covenant's Fire to defeat the minions of the great evil, even though success may require the greatest of sacrifices.